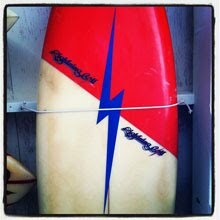 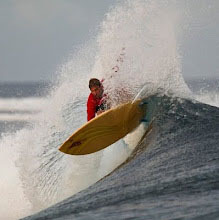 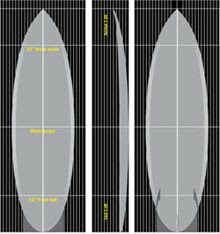 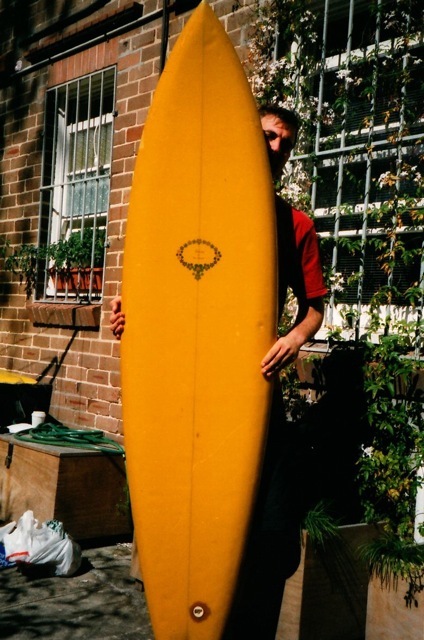 I've been promising Tim from Kona pics of my 6'10" Australian built Bonza for some time. 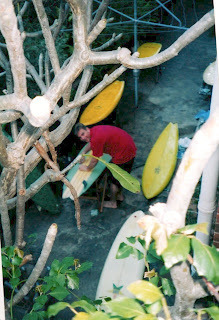 Unfortunatley these are the best photos I can find. 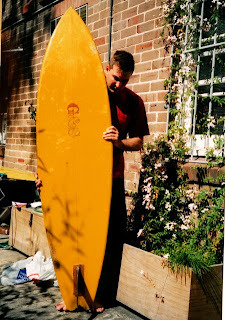 You can clearly see the deep Bonza bottom running the full lenght of the board. 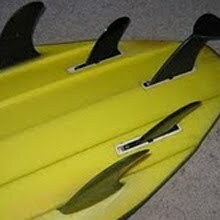 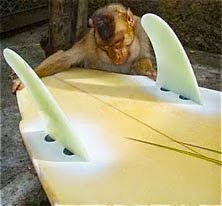 The original design was first shaped in December 1970 by Duncan and Malcom Campbell (USA) and is characterized by a forward concave bottom leading to double concave each side of the centre fin with two keel- type fins set on the rails that where typically radically toed-in and cambered. The bottom design has similarities with the shape of Rogallo hang gliders, first designed in the late 1940's as a method of recovering returning space capsules by NASA. 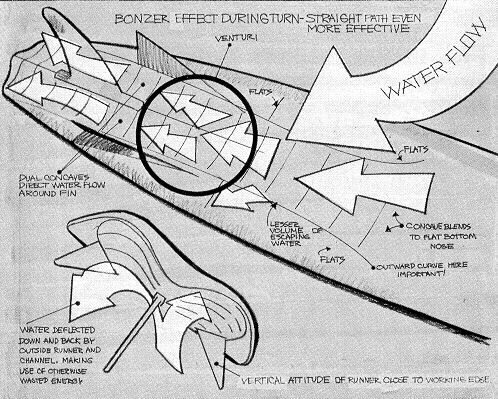 F. M. Rogallo acuratley predicted in 1949 that "Portable delta wings will give bith to a popular sport" a prediction that was proved correct with the rise in popularity of hang gliding. 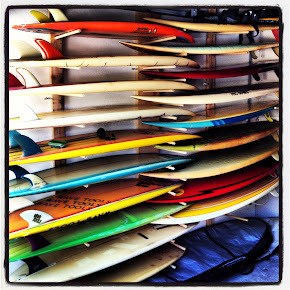 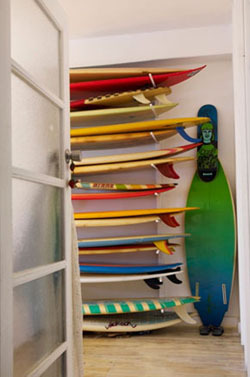 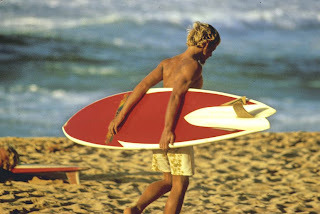 In late 1973, the Campbell Brothers lisenced the design to Bing Surfboards for commercial development. 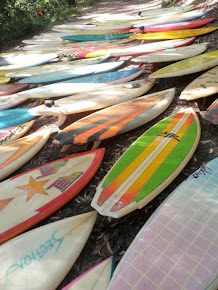 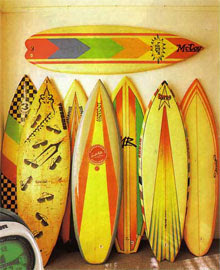 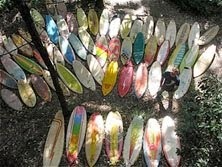 Both the US Bing and Australian G&S models were noted for the wedged, Bonzer in the US and Bonza in AU, decal that was laminated on the side fins. 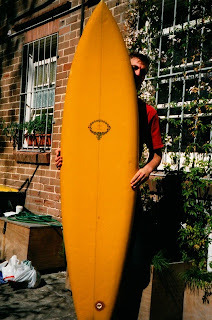 Australian exponents of the design included Peter Townend and Ian Cairns who rode a Bonza to first place, 1973 Smirnoff Contest, Laniäkea , Hawaii. 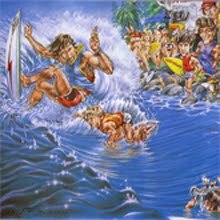 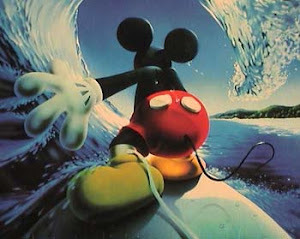 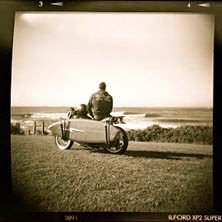 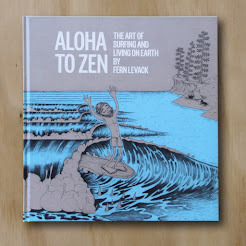 Illustration by Jim Neece :"The Bonzer"
Peter Townend with Aussie made Bonza in Hawaii in 1978 photo by Jeff Devine.